Sensory play is an important part of development for small children. 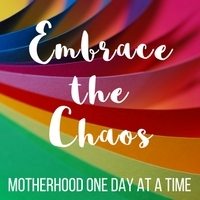 Sensory play helps children to explore and stimulate some or all of the senses and make connections and process the world around them. One of the easiest ways to add sensory play to your child’s day is through sensory bins, but sometimes you need a more mess-free way of allowing your child to explore through his senses. That’s where sensory bags come in! 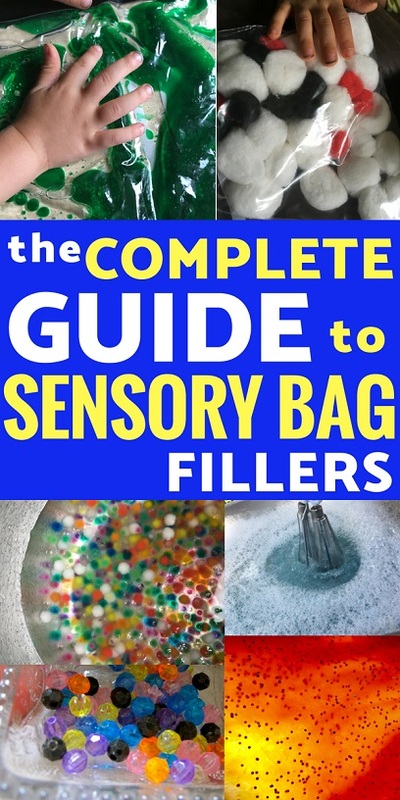 Sensory bags are created by placing your sensory objects inside a sealed plastic bag so that the contents can’t be spilled- or in the case of babies and young toddlers- eaten. There is a great big sensory bag world out there, so what exactly do you put IN a sensory bag?? 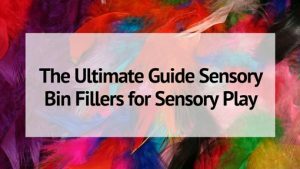 Here’s the ultimate list of sensory bag fillers for you to use in creating your own sensory bags for your child to explore. Sensory bags are made by filling a large- usually gallon size- ziploc bag and sealing it. Adding duct tape around all of the edges of the bag help to further seal and prevent leaking or seeping from the corners and prevent the top from accidentally coming undone. Water– This is the most basic sensory bag filler. It’s a good choice if you want lots of free movement in your bag. Oil and Water– We all know that oil and water don’t mix, but does your child? See my Oil and Water Sensory Bag for more ideas on how to use oil and water together and what it teaches your child. Shaving Cream– This sensory bag filler provides bulk and opacity. 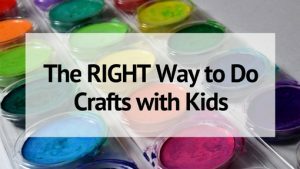 Great for a hide and seek bag or mixed with paint or food coloring for color exploration. Paint– Any kinds of paint will do, but thicker paints will allow for more sensory play. Paint is a good base for color exploration or for writing sensory bags. 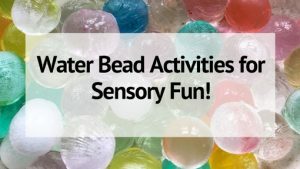 Water Beads– Water beads are so much fun (see all my activities for water beads) BUT they are messy and can bounce all over the house. Using them in a sensory bag is great to contain the mess and for young children who are still very oral. Hair Gel- This makes a great filler if you want to limit free movement in your sensory bag. The hair gel is stiff enough to hold objects and the bag can be held vertical and everything won’t immediately slide to the bottom. Sand– Great for opacity and added texture. Make sure the sand is very smooth so the bag doesn’t get holes! Jello– C’mon, Jello is fun! Let them squish it without the mess! Cooked Pasta– so much fun to squish! Iron Filings– Place a print-out face behind the bag and use a magnet to give it hair! 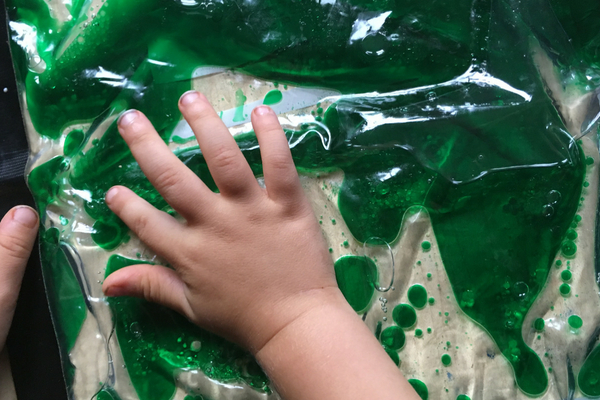 Slime– Sometimes young kids want to get in on the slime fun- let them play with it in a sensory bag! Here’s my easy recipe for Fire Slime! 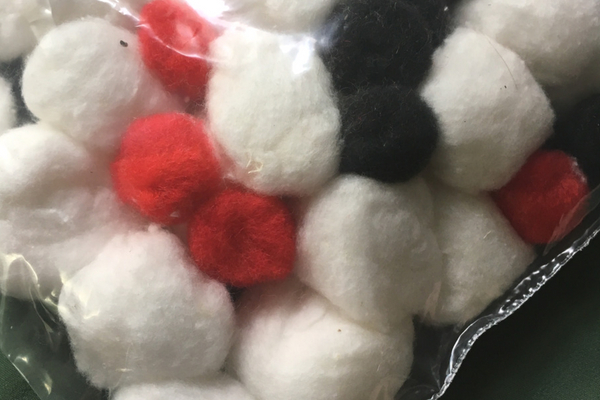 Foam Beads/Peanuts- these make a MESS but are fun to squish in a bag! Related Reading: 9 Stimulating Sensory Bags for Babies! Sometimes the base (and maybe a little coloring) is enough for a simple sensory bag, but other times you will want to add in a few fun extras. Here are some of the things you can add into your sensory bag bases. Just remember, the smaller the better. And keep it smooth. Pointy ends is a punctured bag waiting to happen! Basically anything small- that doesn’t have the ability to puncture the bag if your child gets to rough or adventurous!